The election verdict of Taiwan which came out on Jan 17, 2016 was significant for many reasons. Tsai Ing-wen from Democratic Progressive Party (DPP) was elected as the next President; she happens to be the first women president of Taiwan. Tsai has also been a fervent supporter of independence from China. A recent survey conducted by United Daily News shows that almost 3/4th of Taiwanese (73%) consider themselves Taiwanese, and not Chinese . This clearly reiterates the point that the pro-independence sentiment in Taiwan is on the rise. At the DPP’s 29th anniversary, the President-elect categorically stated that along with neighbours in South East Asia, India too would be on her priority list. Said Tsai, ‘another one of our international priorities is to build up our relations with our neighbors in Southeast Asia and the Indian subcontinent’. I am pleased to announce that a future DPP administration will pursue a ‘New Southbound Policy’ in the years ahead’. The India-Taiwan relationship has witnessed significant strides in the political and economic sphere. India has begun to de-hyphenate the India-Taiwan relationship from the India-China relationship and taken some steps which have annoyed China. When India permitted the setting up of The Taipei Cultural Centre at Chennai, there were strong objections from the Chinese, but India went ahead. In fact, when the former President Ma Ying-jeou was en-route to Africa, he was granted a 90-minute stopover at Mumbai airport despite the many apprehensions that were being sounded against the move. In 2014, Vice President Wu Den-yih was permitted a transit stop at New Delhi airport on his way to Europe. Now that the ice over Pathankot has thawed, it’s business as usual for India and Pakistan. The foreign secretaries of the two countries met on Tuesday – the first formal meeting since bilateral talks were cancelled in January – on the sidelines of the Heart of Asia summit in Delhi. On the whole, both sides stuck to the old script. India spoke of terror; Pakistan spoke of Kashmir. Pakistan has shown signs of cooperating in terror probes, recently sending a joint investigation team into Pathankot. But India continues to ignore the elephant in the room that is Kashmir. It is a silence that could prove costly at this juncture. 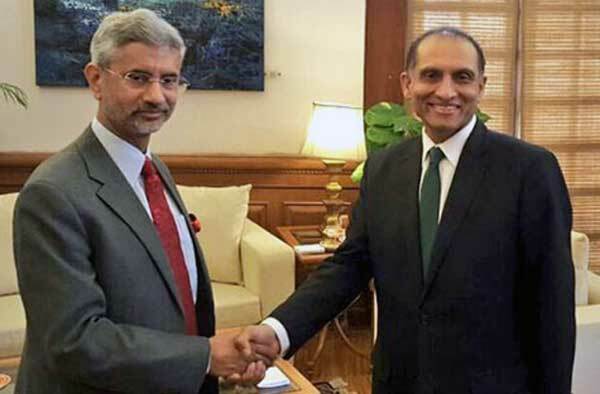 Even while the meeting between foreign secretary S. Jaishankar and his Pakistani counterpart Aizaz Ahmed Chaudhry was in progress, a Pakistani spokesperson issued a statement saying, “Kashmir requires a just solution in accordance with the UN Security Council resolutions and the wishes of the Kashmiri people”. A Pakistani diplomatic source said that the dispute had been discussed, both sides had been frank and Pakistan had asserted that Kashmir was a core issue. But a statement put out after the meeting by the external affairs ministry spokesperson, Vikas Swarup, carefully skirted the issue. It name-tagged Jaish-e-Mohammad chief Masood Azhar and spoke of the toll that terrorism was taking on bilateral ties, it asked for consular access to Kulbhushan Jadhav, the former naval officer allegedly “abducted and taken to Pakistan”, it mentioned humanitarian issues such as the exchange of prisoners, and it agreed to take the relationship forward. Everything but Kashmir. Finally the Foreign Secretaries of India and Pakistan met on 26-April-2016 on the sidelines of the Heart of Asia, Istanbul process being hosted by India. Keeping the events of this year starting with the attack on the IAF base at Pathankot by Pakistani terrorists and the Pakistani narrative of yore, there were no surprises. Aizaz Ahmed Chaudhry was obviously well briefed, rehearsed and instructed not to deviate from the script given by the Pakistani military. Aizaz Ahmed Chaudhry was obviously well briefed, rehearsed and instructed not to deviate from the script given by the Pakistani military. Accordingly, Chaudhry emphasized that Kashmir remains the core issue requiring just solution in accordance with UN resolution and wishes of Kashmiri people. This has also been the main plank of Pakistan at international forums, without mentioning that the UN Resolution on Kashmir, vide which Pakistan still demands, plebiscite, had categorical pre-condition that Pakistan first withdraw all her security forces from territory of Jammu and Kashmir (J&K). 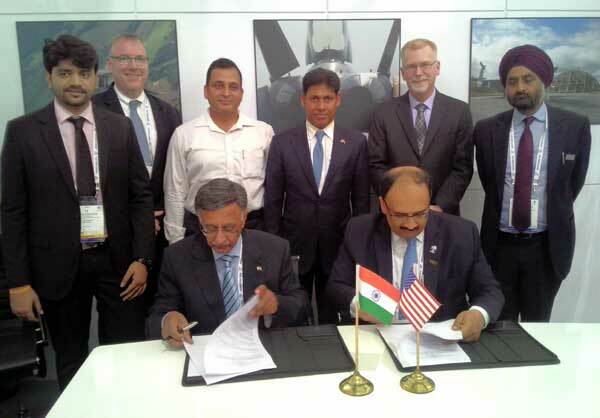 Boeing announced that it has awarded a contract to Bharat Forge for titanium forgings for the Boeing 777X. The titanium forgings will be developed and manufactured by Bharat Forge using a closed die forging process. The first two forgings are scheduled to begin shipping to Boeing in late 2016, and will be followed by two more forgings in early 2017. Bharat Forge completed its first shipment of titanium flap-track forgings for the Next-Generation 737 earlier this year. The company will also supply forgings for the 737 MAX, scheduled to enter service in 2017. The Eleventh Indo-Mongolia joint training Exercise, ‘Nomadic Elephant – 2016’ to promote military associations between India and Mongolia has commenced today at Mongolia. The exercise will culminate on 08 May 2016. The aim of this exercise is to develop synergy and inter operability between the two armies to fight in Counter Insurgency and Counter Terrorism environment under the United Nation mandate. A platoon of the Kumaon Regiment of the Indian Army alongwith a team of two observers will be taking part in the event. 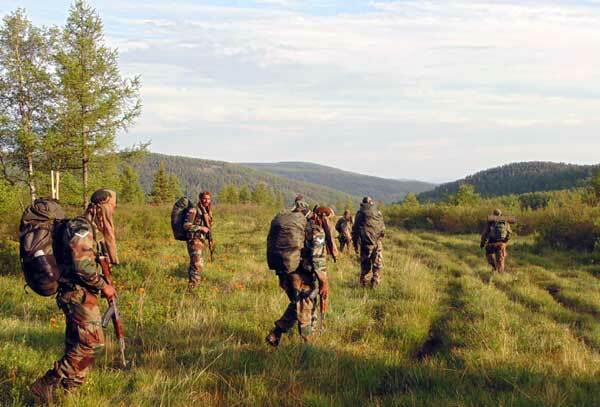 From the Mongolian Armed Forces, a total of 60 personnel will take part in the exercise. The event will culminate in a 48 hours joint outdoor exercise covering specialised operations in Counter Insurgency and Counter Terrorism environment. The Indian contingent will share their practical experiences of Counter Insurgency and Counter Terrorism operations through a series of classroom lectures and outdoor demonstrations which include aspects like House Clearing and Room intervention techniques in hostage situation, road opening, establishing mobile check posts, intelligence gathering and drills for countering Improvised Explosive Devices. 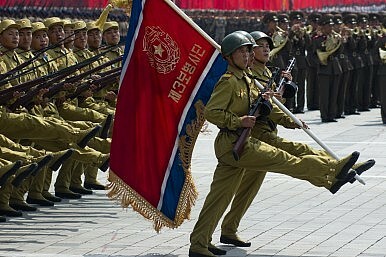 Besides, military training both the contingents will also share their techniques of unarmed combat, specialised rappelling and participate in various sports events during the two weeks exchange. The only way to fix the problem is to create a supply side revolution on land availability. This means steadily bringing down stamp duties and registration charges to not more than 1-2 percent, making more land available in urban areas by raising FSI, building better infrastructure in the suburbs, and by making all building clearances automatic and time-bound to bring down delay-induced bribery. Reserve Bank Governor Raghuram Rajan stated the obvious when he told realtors yesterday (25 April) that if demand wasn’t picking up then, maybe, they should cut prices. The problem may not be the cost of money. This is actually commonsense. A 15 percent cut in home prices will stimulate more purchases than a 1.5 percent cut in interest rates – something that the Reserve Bank has already done over the last year-and-a-half. But people aren’t buying. Here’s an example to illustrate why this is so: a 15 percent cut in a Rs 50 lakh home is a saving of Rs 7.5 lakh to the buyer; you save on interest automatically, as you now need a smaller home loan. Conclusion: a cut in property rates results in a dual cut – in prices and interest costs. Hence this is what the doctor has ordered. “The international community must keep their attention on Afghanistan,” said Jean-Nicolas Marti, outgoing head of the International Committee of the Red Cross in Afghanistan, to Reuters last week. “It’s far from being over. It’s not the time to switch off”. No doubt, that’s sensible advice. But who is there to listen? The world chancelleries, especially in the West, are hopelessly focused on the so-called hotspots ranging from Syria, Libya, Iraq, and the Islamic State to Ukraine and the “migrant crisis”. However, a western (re)engagement in Afghanistan on the pattern of the famous “surge” of 2009 can be safely ruled out. The “surge” was a Pentagon baby and a reluctant President Barack Obama who was new to the job didn’t assert (probably against his own better instincts). Looking back, the surge, which ended in September 2012, didn’t make any difference. It leaps out of the myth of Sisyphus. Obama will not want another futile sideshow at this point in his presidency. Simply put, it is already too late to think of a western reengagement in Afghanistan. India has been making the right moves with a view to enhance its interests in Persian Gulf, latest being the India –Iran –Afghanistan Trilateral Agreement on Transport and Transit Corridors which was finalised in a marathon meeting between the three sides on 11 April 2016 in New Delhi. This agreement once formalised will become the legal framework for optimum utilization of Chabahar port and establish the vital corridor for trade with Afghanistan and Central Asia. As per indicators all three sides are keen for an early finalisation of the agreement, likely to be signed in Tehran within the next two months at the highest levels between the three countries to coincide with visit of Prime Minister Modi to Iran in the near future. Contours of Pakistan’s design are slowly unfolding and as usual it has tried to play prodigal spoilsport to sabotage India’s expanding footprints in the region by indicating use of Iranian territory for activities against it. Commenting on the conclusion of event, Afghanistan’s ambassador to India, Shaida Abdali said “This is a very, very crucial agreement for Afghanistan. The opening of this corridor will help us to fully reach our potential, give us a new trade route. This is a completely new chapter”. The anti-India belligerent attitude of Pakistan Army has seen an upswing in the recent days. There is no doubt that all is not well internally in Pakistan and the tussle for supremacy between the two Sharifs continues unabated. Whenever, the Pak Army is faced with such challenges at home it resorts to its time-tested formula of upping the ante against India and raising the ‘K’ bogey. 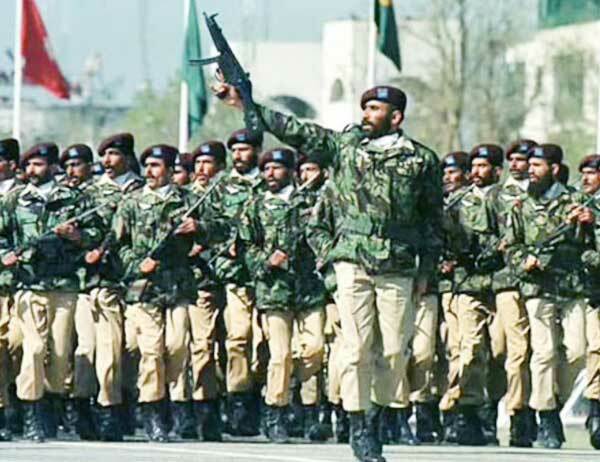 The recent terrorist attack in Lahore has completely exposed the hollowness of the Pak Army and its failure to tame Tehrik-i-Taliban Pakistan (TTP) despite its much touted all out military offensive in Federally Administered Tribal Areas (FATA) codenamed Operation Zarb-e-Azb. Whenever, the Pak Army is faced with such challenges at home it resorts to its time-tested formula of upping the ante against India and raising the K bogey. “The international community must keep their attention on Afghanistan. It’s far from being over. It’s not the time to switch off”. Sadly, the plaintive voice of Jean-Nicolas Marti, outgoing head of the International Committee of the Red Cross (ICRC) in Afghanistan, is unlikely to ring loud in the world chancelleries, especially in the West, which is suffering from donor fatigue and is also hopelessly focused on several ‘hotspots’ ranging from Syria, Libya, Iraq, and the Islamic State to Ukraine and the ‘migrant crisis’. The crux of the matter is whether it is not already too late to think of a renewed western engagement in Afghanistan. One primary motivation behind the devastating attack in the heart of Kabul city on April 19 by the Taliban was probably to warn the international community that it is prudent to cut losses and stay away. Over 64 people were killed and 350 injured in the attack. I have often written about the dual use of the infrastructure in China (andparticularly on the Tibetan plateau). 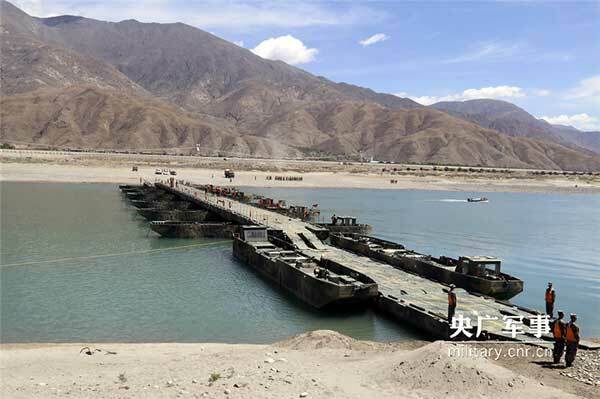 Yesterday, Xinhua reported that during their bi-monthly session, the Standing Committee of the National People’s Congress (NPC) discussed a new law on national defense transport. With the end of the Cold War, outer space activities lost much of their urgency and hipness. But today space is back, and more important than ever. Modern militaries and the global economy are dependent on space capabilities.Private companies are daring to take on challenges that were once the domain of superpowers. And in national security circles, there is discussion of a renewed strategic competition in space that could pit the winner of the last space race, the United States, against the rising power of China. The United States and China have identified space as a strategic domain that is critical to their national interests and development. Both nations are dedicating considerable resources to developing their civil, military, and commercial space sectors. Beijing and Washington see their space accomplishments as important to boosting national pride and international prestige. Over time, what happens in space could serve as either a source of instability, or a means of strengthening the U.S.-China relationship. Ontological Security and India-China Relations: From Border War to "News War"
This paper considers the ontologically-based security needs of states in the international system, as illustrated by the India-China border conflict. Note: Ontological security is defined here as the security identity achieved by routinized relationships with others, which states can then become attached to. Based on this definition, the text's author considers 1) to what extent the border dispute between India and China has become part of their interacting identities; and 2) whether understanding the concept of ontological security can help unpack India-China relations and even end their long-standing border conflict? The author further argues that there is a victim-perpetrator/loser-winner relationship between the two countries which has its roots in the 1962 war they fought with each other and that has been routinized in the years since then. Over the weekend, China’s foreign minister Wang Yi announced in Laos that Beijing had reached a four-point ‘consensus’ with Brunei, Cambodia and Laos on the South China Sea (See: “What’s Behind China’s New South China Sea Consensus With Three ASEAN States“). 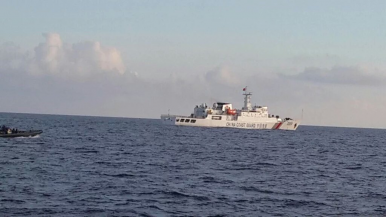 While the diplomatic move is notable given the upcoming verdict on the Philippines’ South China Sea case against Beijing, a closer look at the substance of the so-called consensus reveals that it is actually quite hollow even by Chinese standards. According to Xinhua, Wang said that the four countries agreed that the South China Sea disputes is not an issue between China and ASEAN as a whole and thus should not affect the development of the ASEAN-China relationship. They also agreed on the right enjoyed by sovereign states to choose their own ways to solve disputes; that there should be no attempt to unilaterally impose an agenda on other countries; that territorial and maritime disputes should be resolved through consultations and negotiations by parties directly concerned; and that China and ASEAN should be able to maintain peace and stability in the South China Sea through cooperation, with countries outside the region playing a constructive role in that regard. HANNOVER, Germany (AP) — Evoking history and appealing for solidarity, President Barack Obama on Monday cast his decision to send 250 more troops to Syria as a bid to keep up “momentum” in the campaign to dislodge Islamic State extremists. He pressed European allies to match the U.S. with new contributions of their own. Obama’s announcement of the American troops, which capped a six-day tour to the Middle East and Europe, reflected a steady deepening of U.S. military engagement, despite the president’s professed reluctance to dive further into another Middle East conflict. As Obama gave notice of the move, he said he wanted the U.S. to share the increasing burden. Obama discussed the IS fight with British Prime Minster David Cameron, German Chancellor Angela Merkel, French President Francois Hollande and Italian Prime Minster Matteo Renzi. Thank you to reader Zen, for sending us this article from Time Magazine. Rarely, it's due to stupidity. Often, it's just ignorance of the subject. But sometimes it's blatant lying, and I suspect this is one of those times. Time Magazine and James Grant have collaborated in publishing the most inaccurate, misleading, wrongheaded article I've seen in many years - and that's saying something. I mean, I've see stuff by such as Sarah Palin, and Rush Limbaugh, and Sean Hannity, and Michael Savage, and Glenn Beck, so I thought I had seen and heard the worst of the worst. This beats all. Let me introduce Grant's article with a reminder that a bit more than a year ago, we published, Congress, the media, the economists: The same Big Lie since 1940. What the hell is the problem? The post reminded us all that way back in 1940, the New York times published an article titled, "FEDERAL DEBT, A TICKING TIME BOMB (Sept 26, 1940, New York Times). Subsequently, through the years, there have been hundreds, probably thousands, of articles using the "Ticking Time Bomb" analogy to describe the federal debt. At the time of the 1940 article, the Gross Federal debt was in the neighborhood of $50 billion dollars. Today, Gross debt is about $18 Trillion, and that so-called "time bomb" still is ticking. So much for the New York Times accuracy. North Korea stepped up its quest for nuclear prowess over the weekend with the launch of a submarine-launched ballistic missile (SLBM). As could be expected, the move invited international criticism, with the U.N. Security Council condemning the launch as “yet another serious violation” of UNSC resolutions restricting Pyongyang’s ballistic missile and nuclear programs. It is impossible not to sense the global exasperation at the repeated North Korean provocations and condemnations that lead to nowhere, only to see the cycle continuously repeat itself. Experts say the United States and South Korea must do more than look down their noses at the North — they must take action to prevent further advances in North Korea’s missile and nuclear programs. Park Hwee-rhak, a political science professor at Kookmin University, assesses that this week’s showing is about three times more serious than North Korea’s 2013 nuclear test. Despite the country’s weak economy, military progress has accelerated under Kim Jong-un in comparison to the gains made under his late father, the longtime strongman Kim Jong-il. South Korea’s Ministry of Defense predicted the North would have an operational SLBM in three to four years, which it shortened to two to three years after the latest showing, but many experts, including Park, believe it could be one to two years or even less. This is where we encounter the first part of the means-ends challenge: The United States faces serious and growing shortfalls in its warfighting capabilities. In terms of pure capacity, taking the Army as an example, the United States would be hard pressed to respond with sufficient force to overlapping contingencies in Europe and Korea, to win one while holding the other. It does not have enough forward-deployed forces in Europe to deny Russian objectives in afait accompli in the Baltics. In technologies ranging from active protection for armored vehicles to long-range fires to short-range air defense, the U.S. Army is falling behind its peer competitors. U.S. concepts for major theater war are dated, and arguably do not take into account potential adversaries’ area-denial capabilities. What really happened was that the Air Force dismantled a wildly successful “Electronic Combat triad,” consisting of the EF-111A, the F-4G, and the EC-130. 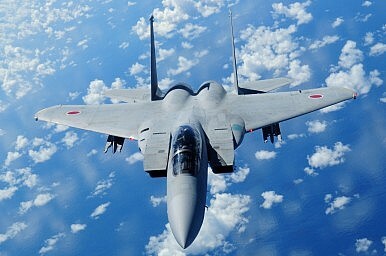 The EF-111A Raven was an unarmed conversion of the F-111 fighter-bomber capable of jamming air defense radars. The F-4G Wild Weasel was the last of the Air Force Phantom conversions, intended to hunt down and kill radar-directed missile batteries and guns. And the EC-130 Compass Call was a powerful communications jammer. Not a single aircraft was lost to a radar threat in the Gulf War while an armed F-4G Wild Weasel or an EF-111 Raven was on station. F-4Gs alone fired a thousand anti-radiation missiles and took down over 250 radars, a hit rate unequaled before or since.